Mere weeks after Ann Coulter called Asian Americans the racially charged slur “Mandarins” on MSNBC’s Hardball with Chris Matthews, twenty-three of the nation’s largest, oldest, and most prominent AAPI civic and civil rights organizations have penned a joint open letter (press statement | full letter) to MSNBC, CNN and Fox urging the cable news networks to improve diversity in their primetime and Sunday morning programming. According to Media Matters, Asian Americans are profoundly underrepresented on most cable news networks, and are less than 3% of guests or hosts that appear on CNN, MSNBC or Fox’s nightly or Sunday morning programming. By comparison, Asian Americans are nearly 7% of the American population. 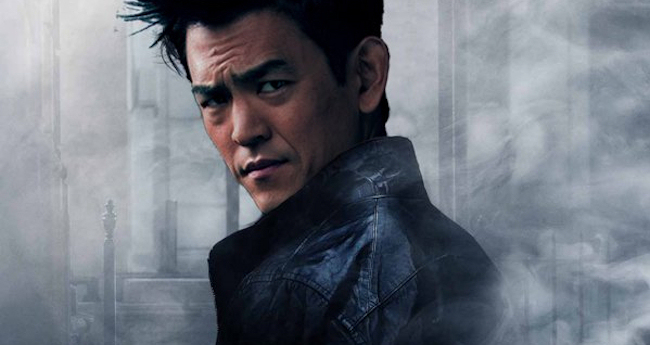 Our underrepresentation is particularly troubling when considered alongside the seemingly routine mischaracterizations of AAPIs by non-Asian guests or hosts who seem to have no problem appearing on cable news programming. 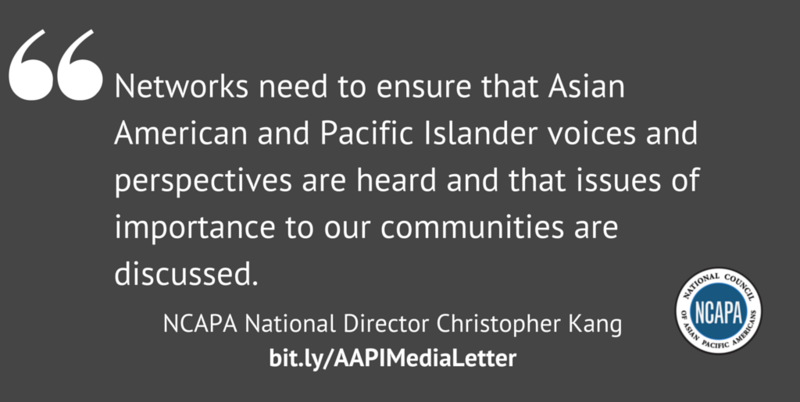 Quite simply, AAPIs and other people of colour are being systematically denied the opportunity to participate in forums wherein our nation’s political discourse is shaped. In the wake of the massive student protests that have rocked the Yale campus highlighting the institutional racism of the school and the hostile campus climate that students of colour endure, university president Peter Salovey sent a campus-wide email this afternoon announcing several new commitments for improving inclusivity and diversity at the school. The announced commitments were broken down into four major areas. 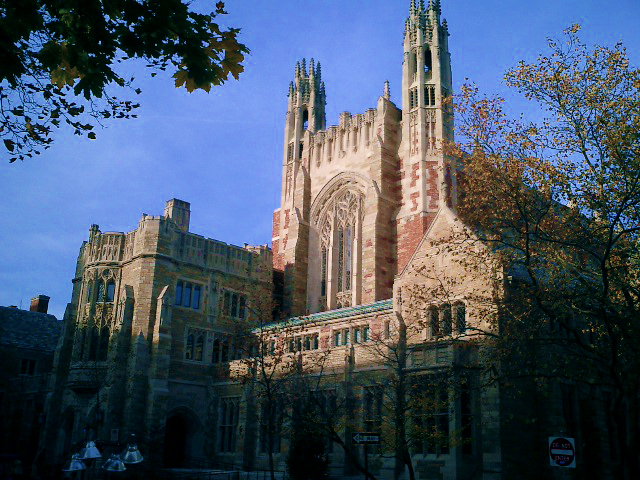 First, Salovey announced a commitment to improve the racial diversity of Yale’s faculty by creating four new faculty positions to be filled by those whose scholarship is devoted to “the histories, lives and cultures of unrepresented and underrepresented communities”; their hiring will be guided by a new “Deputy Dean for Diversity” position that will also be created. Salovey also announced a commitment to increase the number of courses and teaching staff dedicated to topics of diversity, including “a five-year series of conferences on issues of race, gender, inequality and inclusion”. Finally, Salovey hinted — but did not explicitly state — renewed interest in creating a multidisciplinary ethnic studies department, which I can only hope would include some form of Asian American Studies offering (because, dude, #WeNeedAAPIStudies). Last year, California was poised to return affirmative action to the state’s institutions of higher education via a state constitutional amendment that would have reversed the devastating impact of the referendum, Proposition 209, which ended affirmative action in the state in the mid-1990’s and which had a devastating impact on underrepresented minority enrollment in California’s public university system for over a decade afterwards. The amendment to restore affirmative action in California would have passed with broad Black, Latino, and Asian American support if not for sudden, torrential political backlash emerging from within the state’s Chinese American community that in effect halted the amendment in its tracks. 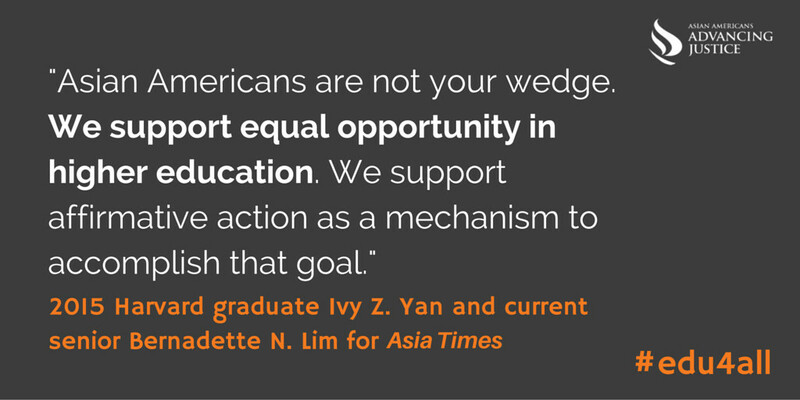 This reaction was confounding in part because numerous surveys have now demonstrated that in general, more than two-thirds of the Asian American/Native Hawaiian/Pacific Islander (AANHPI) community supports affirmative action in higher education and professional sectors. This support occurs largely for two reasons: 1) many within the AANHPI community are still underrepresented on this nation’s college campuses, and 2) most AANHPI recognize the positive benefits that campus diversity efforts have historically provided and continue to provide for all students. Yet, conservative lobbyists lost no time last year to infiltrate the vocal minority of Asian Americans who still oppose affirmative action, and those lobbyists have organized a series of new legal efforts to end affirmative action: late last year, Edward Blum — the mastermind behind Abigail Fisher’s Supreme Court case challenging the constitutionality of affirmative action — found some willing Asian American faces to launch a new series of lawsuits. This Friday, a group of over 50 Asian American organizations (which in particular still remains unknown) will hold a press conference at The National Press Club to announce their intention to file an administrative complaint to the Civil Rights Division of the Department of Justice alleging that Harvard University’s admission policies discriminates against Asian Americans. In their press release, this group claims that their scheduled complaint filing is “the largest action taken by Asian Americans for equal college admission rights in 20 years, joined by more than 50 Chinese, Indian, Korean and Pakistani organizations all over the nation”. This quote is disconcerting for a few reasons. First of all, it suggests that this group of Asian American anti-affirmative action activists presumes to speak for the entire Asian American community despite our demonstrated popular support for (not against) affirmative action; and second that it presumes to do so while failing to represent the voices of Southeast Asian Americans or our Native Hawaiian & Pacific Islander allies. In the last 48 hours, over 120 (and counting) groups (update: now 135+) that serve the AANHPI community around the nation have come together — along with hundreds of impassioned individuals — in a massive coalition to pen an open letter supporting affirmative action in higher education. Representing a broad cross-section of AANHPI civil rights leaders, this group reflects the AANHPI’s dedication to higher education access for all, and the important role that affirmative action programs play in educational justice.